On April 3, 2019, junior Jaime Puch Nieto got second place at districts for tennis playing singles. 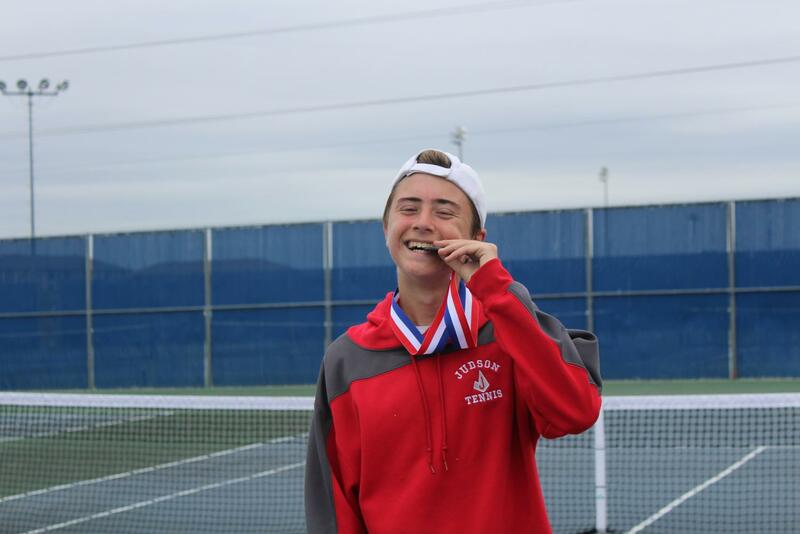 This is the first time in two years a varsity student continues to regionals for tennis. Since Nieto has been at Judson, he has been on a winning streak for the past few tournaments. He had only two losses all season, which made him the number two seed in the district behind Clemens. The district tournament began on Tuesday, April 3 at Samuel Clemens High School. It was single elimination. Fortunately, Nieto was still on his streak and won every game he played on Tuesday. He had a bye the first round, beat Canyon 6-0, 6-2 in the second, then defeated New Braunfels 6-0, 6-1. After a long day of matches, he had to go back Wednesday to play his final match. Luckily, Nieto came back ready to play. The final match was overwhelmingly intense. Both players were playing their best. The match was consistent, but with minor errors cost Nieto the game. He lost to Clemens’ number one seed in a third set tiebreaker, 6-4, 1-6, 6-6, 6-8, making this the third loss for Nieto. “He played well. We will get him next time. 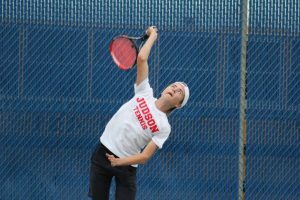 Sometimes, the ball doesn’t bounce your way, but the grind doesn’t stop,” head tennis coach Joey Cuellar said. Nieto will continue to regionals and play on Wednesday, April 17, 2019, at McFarland Tennis Center. If he continues to win, he will play again on Thursday, April 18, 2019.